Most of us are aware of Tablets!! but tablets till recently a rich man's gadget have just started come out of that tag! How many tablets in the less than Rs 10,000/- category come with full of features even expensive tablets are shy of? It's a season of tablets and there seems to be a new budget tablet being launched every other day. However, even in the midst of all these tablets, BSNL's Penta T-Pad WS802C looks like an interesting option for a number of reasons. Most tablets that have launched in India so far are either 7-inch tablets or 10-inch options, with the only exception being Samsung Galaxy Tab 8.9, which has 8.9-inch screen. 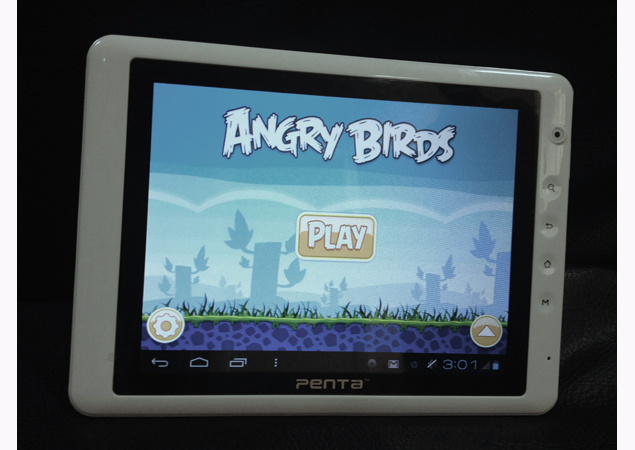 BSNL's Penta T-Pad WS802C is a bit different in this regards as it sports an 8-inch screen. Also, this tablet comes at a very interesting price point. Priced at Rs. 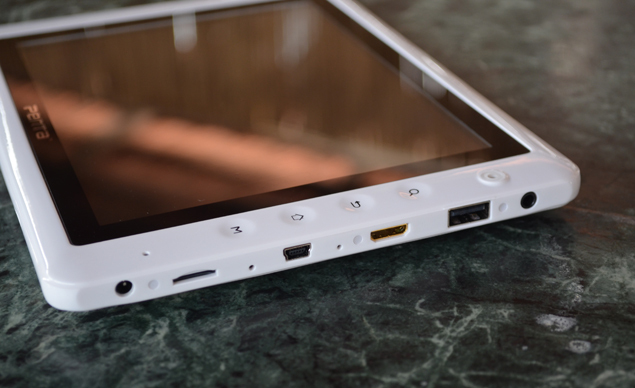 14,699 Penta T-Pad is placed exactly in between the entry level tablets and high-end tablets. So let's explore whether this tablet is a good buying option or yet another also-ran? 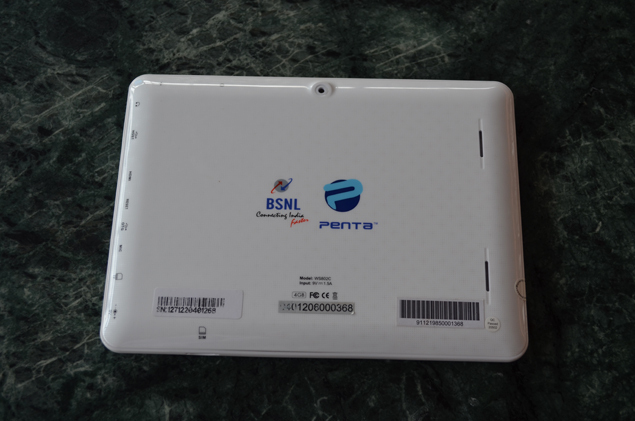 BSNL's Penta T-Pad is an ivory white tablet 8-inch tablet, which looks an interesting tablet on first glance. However, the moment you hold the tablet in your hands, the first thing that one notices is its weight! It is on heavier side, which means that you cannot hold it in your hands for longer durations. Most of the other tablets in the same price are 7-inchers and the extra one-inch was quite handy while watching movies/videos and even surfing the net. The Penta T-Pad comes with a display of resolution 800x552 pixels and one of the brightest screens amongst budget tablets, as long as you stay indoors. The viewing angels are average and so is the under-sun visibility. We found e-books reading on the tablet to be an enjoyable experience. On the downside, the screen is a fingerprint magnet. BSNL's Penta T-Pad comes loaded with Android Ice Cream Sandwich (version 4.0.3) and the tablet is quite responsive and smooth. In the budget tablet category, this tablet is able to provide best Android experience that we have had so far. In our video drain test, the BSNL Penta T-Pad lasted for about 7-hours, which is not too bad. This means you can easily watch a couple of movies back to back when travelling. In our loop tests, with an hour of calling added into the mix, the tablet managed a respectable 6-hours and 10-minutes. There are plenty of affordable tablets that are currently available in the market but most of them are unable to provide a good experience but BSNL's Penta T-Pad is an exception in this regards. The only major disappointment for this tablet is its weight. Other than that, it is good value purchase especially for the early adopters in the tablet category!